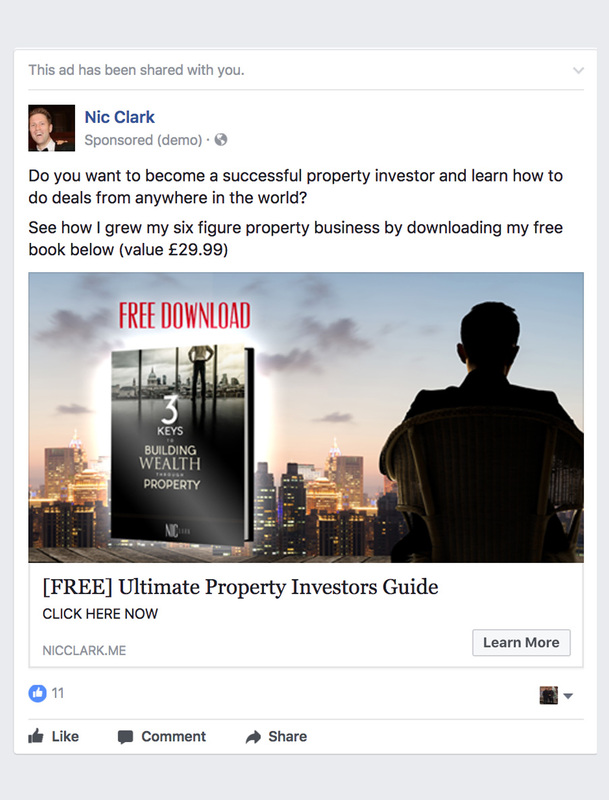 Nic Clark is an Executive Property Investor in the United Kingdom. 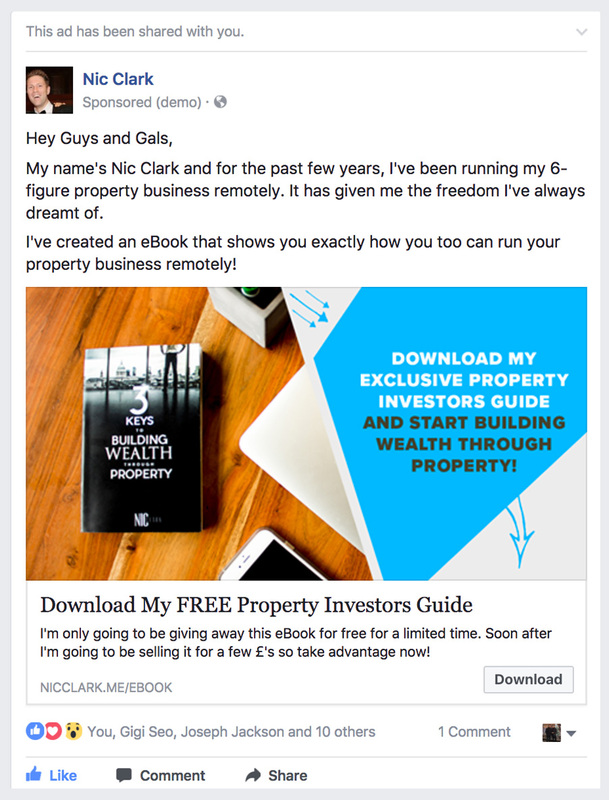 After creating a successful multi-million dollar property investment company, he decided he wanted to help others within the property niche by creating a property coaching business. This is where Level 7 Labs came in. 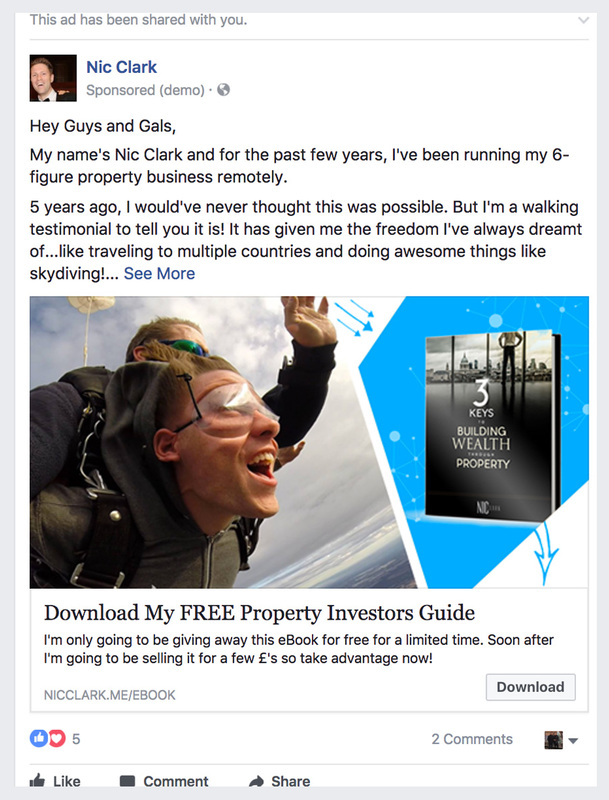 After understanding what Nic wanted to accomplish and what his goals were, Level 7 Labs turned his passion of helping others into a booming business. Level 7 Labs created all digital marketing strategies and content that include but are not limited to: branding, funnels, emails, ads, and more. 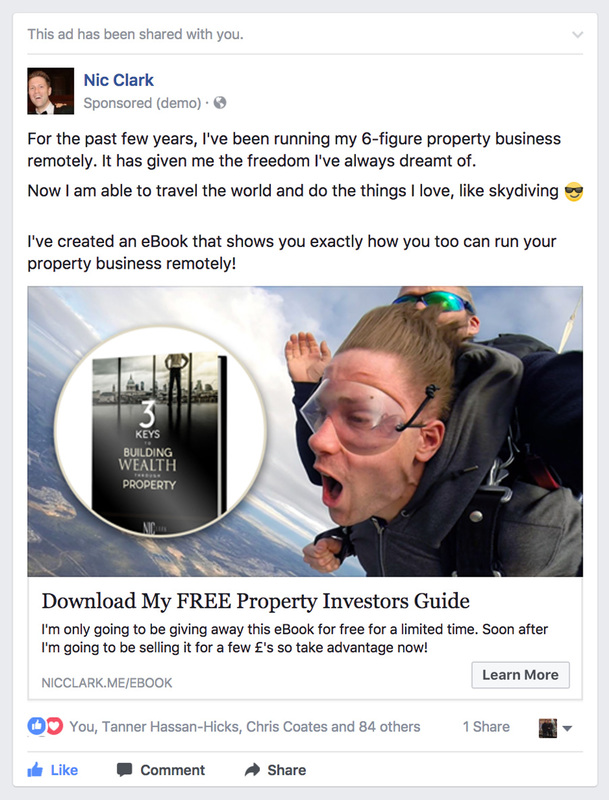 Below you will find Facebook Ad statistics and a few of our best performing ads.